Mi-Hungry is designed to give customers an authenic Jamaican Island Experience. For customer greeting we have friendly hostesses. For customers viewing we have Jamaican Videos on Big Screen. 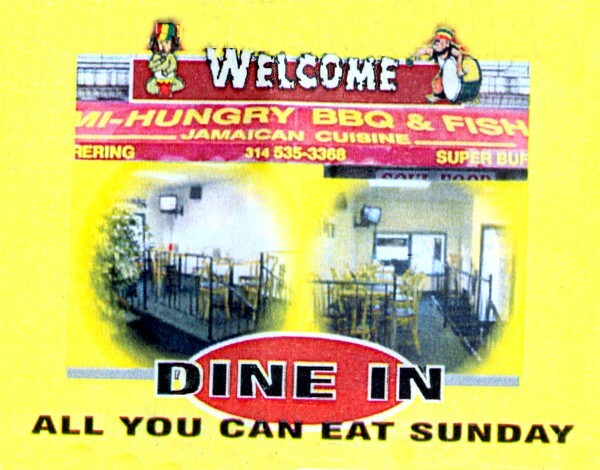 For customers taste we have excuisite Jamaican Cuisine. This is only a brief synopsis of what customers can expect when visiting this Caribbean Culinary Paradise.